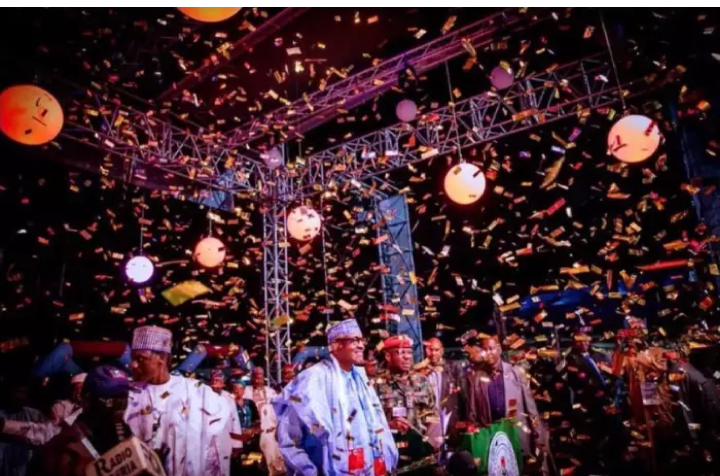 The All Progressives Congress (APC), Akwa Ibom State on Wednesday held a mega rally in jubilation over the re-election of President Muhammadu Buhari. Ekere said the re-election of Buhari means he has done well in terms of road construction, fight against corruption; bring the economy out of recession, transparency and selflessness in governance. Ekere urged the members of APC to be vigilant, noting that the Peoples Democratic Party (PDP) engaged in vote buying in the Presidential and National Assembly elections to gain victory in the state. According to him, “We shall reclaim the entire stolen mandate from the PDP. We shall get redress. Those who conspire to steal APC mandate will cry. “Yesterday I received a call from the Vice president Professor Yemi Oshibajo saying that he is aware of the situation in Akwa Ibom and that the result of the election is not the true reflection of what happened in Akwa Ibom during the Saturday polls. “Everywhere we went, it was obvious that the people wanted change and we’re determined to ensure that their vote count but the level of vote buying by the PDP truncate this desire.